Hi, I'm Roman; and this is Mike. Welcome, fellow inbounder. Happy Monday! This week we'll discuss Facebook dislikes, repurposing content and the customer journey. Why Video Marketing on Facebook, Twitter and YouTube is So Powerful - Video marketing might be the new responsive design. You just have to do it. One piece of advice I give to clients is the power of video testimonials - whether it's a client or CEO or other executive having a client talk about your success or a CEO talk about the value of a business is so powerful. There are also powerful SEO benefits especially when a transcription of the video is added. 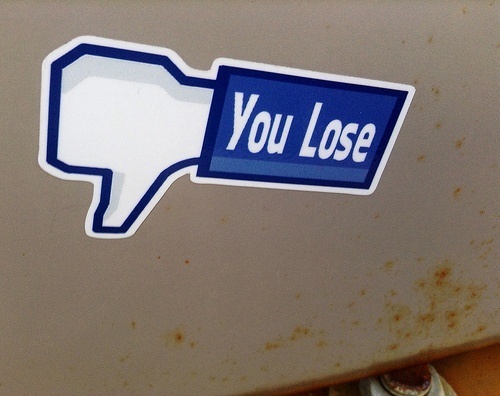 Facebook 'dislike' button a comeback for negative thinking - This is interesting. Apparently, Facebook likes may be causing everyone to become to positive and too fake. Too much of a one way street. We'll see what happens when the Facebook dislike button is introduced. There may be a whole new are for marketing managers to worry about - percentage of dislikes. The Customer Journey is Being Ignored by Most Marketers - This true. It's easy to create content and post it on your website. But how is this content working to guide your customer? How thoughtful is it? Good example here of how Verizon cuts down on customer service calls with the right type of content. B2B vs. B2C Marketing: Do you know the difference? - Good reminder here that B2B and B2C marketing are two very different beasts with different goals and require very different approaches. Many times we run into instances of B2B companies using B2C techniques that just are not working. It's important to help them understand why. Well that does it for this week's fantastic five articles. Fall is Wednesday! Get your fall sweaters ready.